The ’822 patent adds nothing remotely inventive or technological to the basic idea of providing a portion of a periodical—i.e., a newspaper—based on the amount of space available. The patent owner, Nuglif, makes an application for distributing news and media content. For the limits of the patent, we look to its claims, which define the applicant’s legal rights instead of describing the operation of the “invention” to which the claims supposedly correspond. The patent has only one independent claim, which includes steps of (a) receiving a pre-generated file linking to at least some content from current and upcoming digital editions, (b) requesting the linked-content for display, and (c) determining how much content from the upcoming edition to download based on publication date and device capacity. Notably, the patent does not claim as the invention the processor, the network, the digital edition, the software application for reading the digital edition on the device, or any other technical aspect. Instead, it claims the combination of receiving, requesting, and determining, without limiting it to any particular device or manner of operation. Aside from the reference to a “processor-implemented” method in the preamble to the claim, nothing in the claim indicates these steps would even have to be performed by machinery rather than a human. Nor does it indicate why providing a partial edition would be challenging once a complete edition can be provided. In 2014, the Supreme Court’s Alice v. CLS Bank decision confirmed what numerous earlier decisions had already established: to be eligible for a patent, an applicant must actually invent something. Patents on abstract ideas, laws of nature, and naturally-occurring phenomena are prohibited. These represent the fundamental building blocks of innovation and scientific progress that must remain available to the public. When a patent claims something in these prohibited categories and adds nothing to transform the claims into a specific invention, the patent takes from the public domain, and adds nothing in return. Abstract ideas are basic principles that apply and often represent methods of organizing human activity that people have known and used for years without technological intervention. Too often, applicants obtain patents on abstract ideas by claiming systems or methods that merely apply these ideas using off-the-shelf computer hardware and software and without adding anything that is inventive and patent-eligible—i.e., something attributable to the applicant other than the abstract idea or pre-existing computer technology that supposedly makes it concrete. The ’822 patent issued on August 7, 2018, and has a priority date of January 10, 2014. That means the Alice decision came out in plenty of time to block its issuance. The idea of providing less based on resource constraints is not even technological, let alone innovative. It is a basic idea that drives human activity every day: from our decision not to consume an entire day’s worth of food at breakfast, to our decision to fill our bag with only what we can carry, and actually need, for work or school. Nothing in the patent suggests that the applicant came up with anything beyond the idea of making a determination based on timing and capacity. Even the patent relies on the obvious analog analogies, explaining that Saturday editions are typically “more voluminous” and thus demand more capacity than “lighter” Sunday editions with fewer sections. But that was just as true for paper editions distributed by newspaper carriers as for digital editions distributed on devices today. The need to adapt to the constraints of a medium is not a problem tied to any particular technological tool or environment. Right now, we have no concerns about the conduct of the assignee, Nuglif. 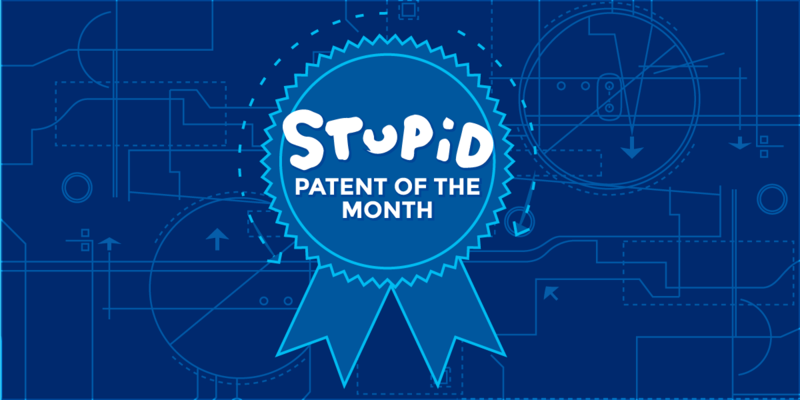 But we are worried that the Patent Office is still issuing patents like this one. Because the ’822 patent issued so recently, it has the potential to be used to threaten or bring suit until it expires in 2034. Since it directly relates to the distribution of news content, these threats could add to risks and costs of creating and distributing newspapers, magazines, and other creative content—activities the First Amendment protects.